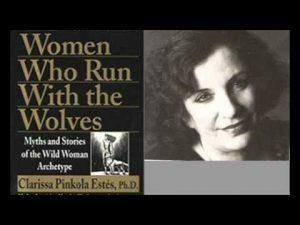 The AIPCT is pleased to invite you to attend our spring semester reading group, a study of Women Who Run with the Wolves by Clarissa Pinkola Estes. This classic of Jungian archetypal analysis was first published in 1994 and has been reissued in an expanded 25th anniversary edition. The sessions will be led by AIPCT Fellow Odessa Katrina Colombo, who did her graduate work in philosophy at SIUC and remained to set up a practice as a life coach (certified by Anthropedia Foundation) in southern Illinois and St. Louis. All sessions begin at 7:00 PM and run until around 8:30 or 9:00 (discussion is open-ended; people tend to leave at different times).